Shane Lowry is floating around Augusta National with the enthusiasm of a rookie and a grim determination never to take that precious invitation for granted. They say you only truly miss something when it's gone and after failing to make it down Magnolia Lane last year and then being forced to sweat to secure his invitation this year, the Clara man is determined to savour his fourth Masters appearance to the full. Yes, he's struggled to find the kind of form that gave him his first win for three and a half years in the Abu HSBC Championship in January, putting him on the road to Georgia. And yes, he's been battling to find a replacement driver since the start of the year and lost form and confidence as a result. But he's making no excuses and having matured as a person and a golfer since he missed the cut for the second time in three appearances in 2018, he knows he has the talent to shine on a course he ranks as close to the ultimate test of golf that you can find. "It is one of the greatest places in the world," said Lowry, who played 18 holes Sunday before hitting the course again for another nine on Monday, getting a headstart on the field before 24 hours of heavy rain. He's certainly not here to make up the numbers, even if he did have to wait until Francesco Molinari beat Kevin Na in the quarter-finals of the WGC-Dell Technologies Match Play to secure his spot via the world's top 50. "A few months ago I wasn’t supposed to be here, so it is nice to be here," he said near the big oak tree on the clubhouse lawn. "It doesn’t mean I am not going to try — I am not just happy to be here—I want to try and do well." Lowry has broken par just once in six rounds at Augusta, averaging 74.50 but that's no great surprise given the unique challenge. It's all a question of feeling comfortable, and while rookies feel like kids squirming uncomfortably in the "good settee" on that Sunday visit to some distant relative, Lowry feels more at ease this time. "I haven’t had too much success around here," he confessed. "The first year you are in awe of the place, it’s a bit weird. When you become more comfortable, it is easier to get your bearings and stuff. "Even just driving down Magnolia Lane, walking in the clubhouse, it takes getting used to. I just said to my dad and [coach] Neil [Manchip], walking into the grill room to have lunch, it is much easier to do it for your fourth year than it is the first year when you are afraid you’d do something wrong." He's been looking forward to seeing his daughter Iris in her white Augusta boilersuit at tomorrow's Par-Three Contest since he won in Abu Dhabi and he admits he's been counting down the days. "I have never been as excited, since the first time I was here," he said of a test that requires enormous levels of skill. It is the most excited I have been to come to a golf tournament. "Last week I was almost counting down the days. Maybe for a couple of years, I was in here, and I was taking it for granted a little bit. Then not being in it last year, it makes you appreciate it." He'll appreciate it even more if he plays well and knows there will be no place to hide among the azaleas or the dogwoods if he doesn't drive the ball well. "It literally takes every part of your game," he said. "You can’t get away with doing anything bad. You hit a bad drive; you are out of position. You hit a bad iron shot; you are out of position. You hit a bad chip shot or hit a bad putt... Your whole game has to be good." Finding a driver he likes has been like the quest for the Holy Grail for the world number 50, who missed three of four cuts before winning one and a half points from three in the Dell Technologies Match Play in Austin. "I am not making excuses or anything, but I have struggled with my driver all year," he said. "Really struggled. "I am on my fifth or sixth driver since Abu Dhabi. I have to tell myself this, but I really feel the one I have now is good. I put a new shaft in it last week, new Srixon driver. Really feel it is good. "I’ve played 27 holes around here now, and it doesn’t have a big miss in it. I have had a serious left in my tee shot all year, and you can’t play golf with that, a quick left. You can’t play with it. Apart from that, the rest of my game has been good." "I found it very distracting, especially Bay Hill, the Players," he said. "Then at the Matchplay, I was told — and you don’t want to be told these things, but people still tell you them — if you win one you are safe, you are in Augusta." He knows he's not fancied to win the green jacket, but when asked if parenthood had made him a more mature and rounded golfer, he agreed. "I think so," he said. "I try to put things in a bit more perspective these days than I have done in the past. That doesn’t say I will be out there not caring about how I play. It is great to be here. I am going to give it my best. We will see where it leaves me on Sunday." He goes off the first tee tomorrow with 2003 champion Mike Weir and 30-year-old US Mid-Amateur champion Kevin O’Connell at 8:52 am (1352 Irish time). 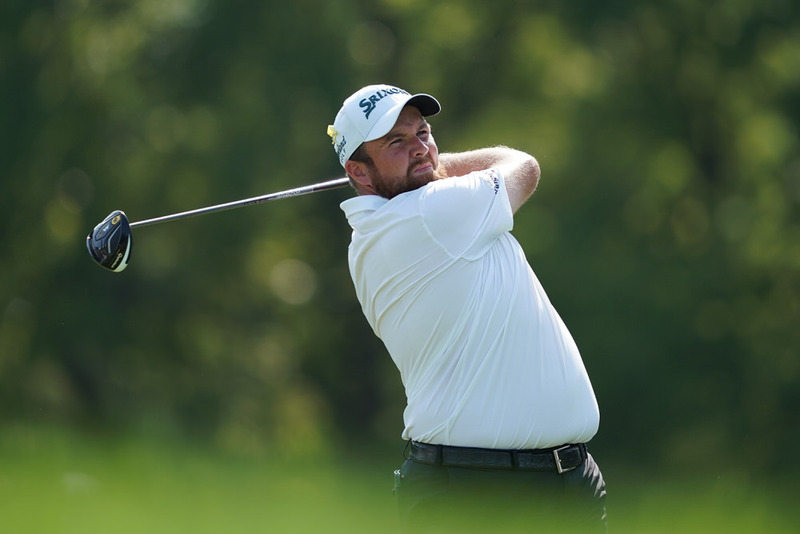 Shane Lowry believes he’s ready to chase the American Dream on the PGA Tour and play the kind of global schedule that could make him a Ryder Cup player and an Olympian in 2016. Just don't expect him to start changing now and become a calculating, greens-in-regulation hitting plodder. As he said in Dublin yesterday: "I hate laying up on par fives... that’s the way I play golf."